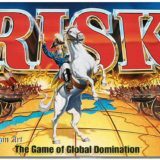 Where to Play Risk Online? 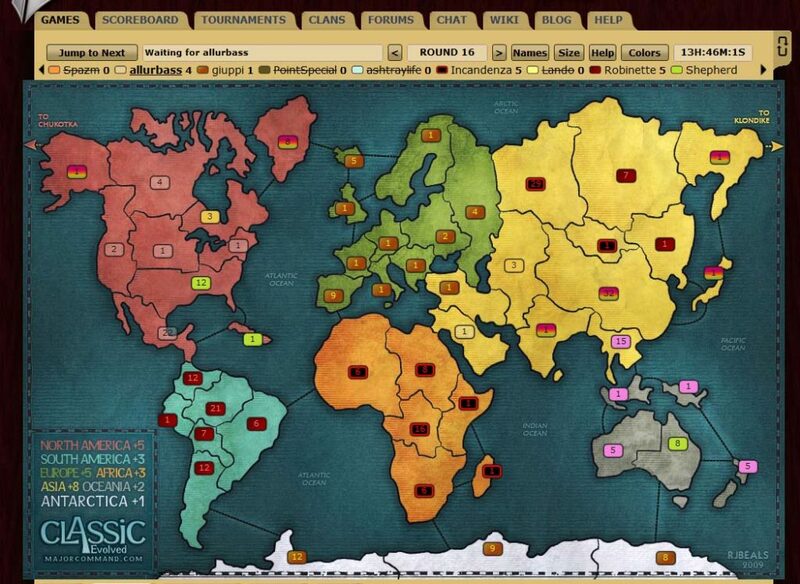 You can Play RISK Online on over a dozen different websites. Some are obviously better than other. We have tried to review them all. 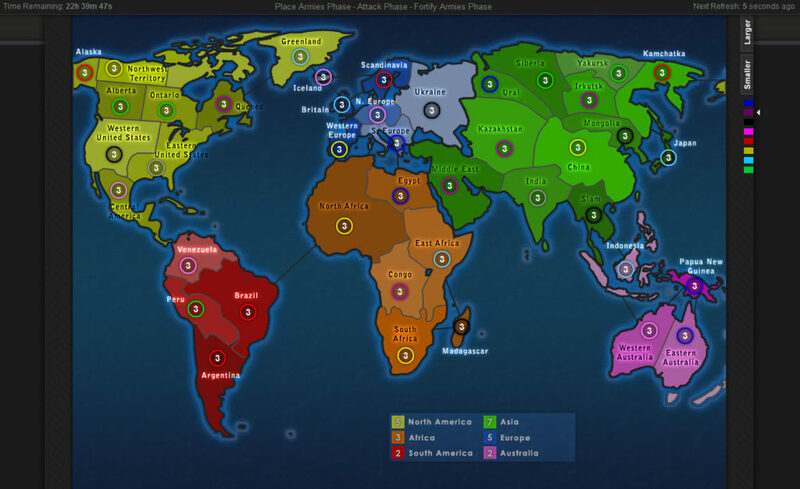 Just scroll down to read about our favorite websites where you can play RISK online. The Board Game RISK has been around since we were children. We all played board games with friends or family sitting around a table. Now times have changed. While playing strategy games with friends at home used to be the only option, the online gaming universe has changed everything. Playing online with friends and family is easier than ever. And we want to show you the best websites to play Risk online. We set out to catalog and review every online risk site out there. 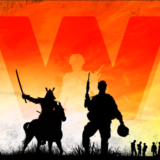 We discovered over a dozen different websites that offer some sort of version of the war game online. 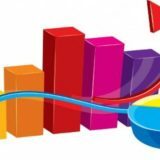 Community, graphics, easy of use, and fun are all important factors, so take a look at the below reviews and decide which website is best for you. 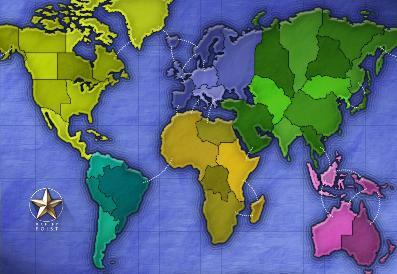 When it comes to playing RISK online, you’ll soon discover that there are very few quality sites to play. A lot of websites are pretty basic and will just waste your time, leaving you discouraged with the experience. Actually, when you shift through all the different gaming sites, there are only two or three that are worth talking out. The largest community out there, this aging giant could really use some new developer attention and quality control. Packed to the gills with features, LandGrab.net can be entertaining if you invest the time to learn and navigate its cumbersome interface. Created by a splinter group of ConquerClub veterans, MajorCommand took the best of the best, and made it better. Now in version 1.0, this Risk site brings a quick interface and some interesting features. Though some more users and quality maps are needed. 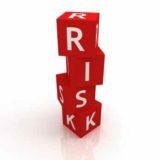 New on the online Risk block, small and growing. D12 has some dedicated followers, cool features, and a clean experience. 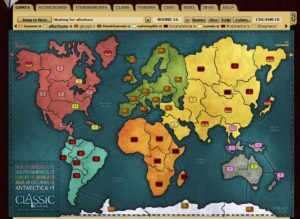 After trying all the different RISK websites, it should be no surprise that our favorite place to play RISK online is MajorCommand.com. It is leagues above the rest when it comes to high-quality game style Maps, Medals, Achievements, and overall fun. It even has a small, but very friendly user base. Note, though, it’s one of the newer sites to offer the game online, which is good, but that being new has it’s pitfalls at the same time. 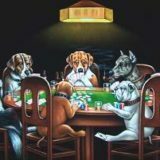 MajorCommand.com was created by a group of dedicated RISK players who abandoned another online gaming site, Conquer Club, in order to make better gaming experience for themselves and other gamers. The story tells that Conquer Club had fallen into disarray. The quality of the maps are poor and unplayable, and the forum has turned into a flaming hotspot for religion, politics, and conspiracy theories. The players who wanted to play a good game of RISK were slowly being marginalized, so they set out to created a site where they could play strategy games without the craziness and distractions. That’s when they created MajorCommand.com. Remember, though, nothing is ever perfect. 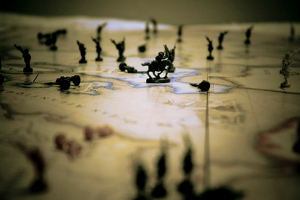 The downfall to this new RISK gaming website is that Major Command is still in its infancy. 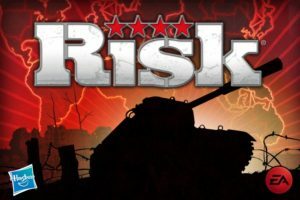 It still has a smaller user base, and some features are still being developed, but the quality of the RISK Maps, the fantastic community of players, and the simple gaming interface outweighs all the cons of being new, which is why it is our favorite website to play RISK online, by far. Now you can’t talk about playing online without talking about the granddaddy of them all, ConquerClub.com. It was the first website to offer the game RISK online, and it still the largest in terms of a number of active users and strategy game maps. But bigger is not always better. The reason Major Command was created was because of the lack of quality control at Conquer Club. Even though ConquerClub boasts over 200 game maps, compared to MajorCommand’s 20 or 30 maps, which is nearly 10 times more, the quality and playability of the ConquerClub maps is just not there. It’s comparable to the getting one of those 200 games in one cartridge for your old Atari console. It sounded good, but 199 of the 200 games were a just a big waste of time! Too bad for ConquerClub RISK players. But there are other reasons too. The old giant is now obsolete, which we explain more in our in-depth gameplay review. 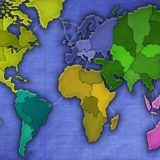 What about the other top 10 websites to play RISK online? Well, they are about the same. Some slightly better than others, but none great. Either visually lacking in quality, or lacking with their playability and interface. We still managed to test them all out and give you our opinion. So check out the complete list of reviews below! 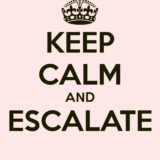 And just look below for a quick summary. 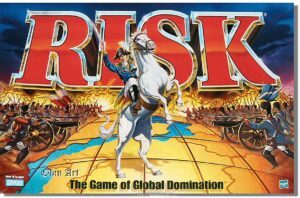 Find out where to play Risk online! Created by a splinter group of ConquerClub veterans, MajorCommand brings the best to the table. Still in beta, but you wouldn’t know it from all the great features. The game interface is simple and easy to use, yet has all the options. The old Flash code is being overhauled to HTML5 so there might be some hiccups during the upgrades. The site uses a simple tabbed navigable structure. The community is small but very welcoming and friendly. It is unique compared to other RISK gaming sites. The forums are lively, user profiles have depth, and the scoreboard is competitive yet fun. There is even an extremely detailed Wiki. 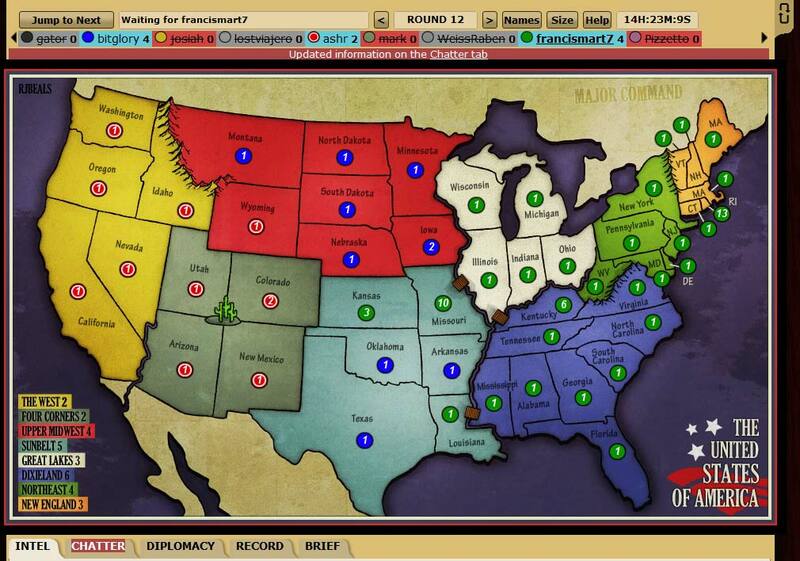 Playing Risk here is everything you would expect and want from a gaming website. The various options and maps make every game unique and it’s very easy to get addicted. There are plenty of rule variants to keep you busy and hanging around for a while. Sometimes though, with the small community, real-time games may take a while to fill up with players. Casual games are the best feature. There are over 20 maps and they are all gorgeous and well thought out. Each map is perfectly balanced to maximize the gameplay experience. 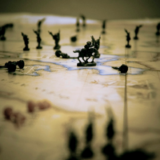 The maps are where Major Command separates itself from the rest of the online RISK sites. The team of map designers and testers are the best around. The website is still in beta, but new development is happening everyday. The original code was a bit buggy but it is slowly being updated. The user group is small so some games may be slow to start, but the players are dedicated to have fun and the numbers are growing. The largest community out there, this old giant is fun to play but could use some sprucing up. It may be hard to get used to the combination of drop down menus and ad-hoc clickable elements, but it gets the job done. The rest of the online site is limited by what can be done with the forum software that it’s based on. One of the largest and most active Risk playing communities out there. Some 18,000 active users and a robust forum with over 2 million posts. The forums is where the community is as many members have taken up the charge with tournaments, clans, forum games, and other user-created extras. Conquer Club has survived and grown for years by serving up quality strategic fun. There are lots of options, but not so many that you can’t get a pickup game going within minutes. There is lots to explore but discovery can be hard as much of the fun stuff is buried in sub-forums or is otherwise inaccessible to new players. With over 182 maps you will never run out of new challenges. The maps are generally of high quality thought many of them can be overly confusing, especially to new players. The map making community there is large and prolific. Started in 2006, Conquer Club can be considered a mature gaming site, with all the advantages and disadvantages maturity can bring. The major disadvantage is that official development progresses at a very slow pace, leading to declining activity and restless membership. However the community is large enough to keep the embers burning for quite some time. Packed to the gills with features, LandGrab.net can be entertaining if you can deal with the bloat and clumsy interface. The basic site interface can be confusing for the uninitiated. The game interface benefits from clickable maps instead of menus, but certain features are on entirely different pages, which is annoying. The turn by turn playback is an invaluable tool. Almost all player interaction takes place within the forum, which have over 50K posts. There isn’t much in the way of tournaments or user created content as most of the discussion is just that, discussion. The atmosphere is friendly though. With more game types than any other site, Landgrab can be a lot of fun. The game options are incredibly varied and almost infinitely customizable, and Landgrab even features AI players. There are loads of achievements, though many are easy to attain, along with multiple leader boards. There are around 100 official maps ranging in quality from good to disaster. Players can upload their own maps without official approval, which can extend the possibilities endlessly or waste a person’s time on an untested map. Online since 2005, LandGrab has motored along largely on the dedication of its responsive developer, who updates on a monthly basis. With a sizable user base and a present developer, LandGrab should be around for quite a while. 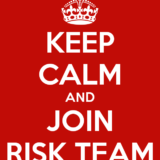 An innovative online Risk site that could be a contented if they had some more members and better quality maps. The game interface is quick and simple to understand. What it lacks in style and character it makes up for with feature rich additions. The forums are small but are building steam. There are some tournament tools to and a competitive ladder system. You can immediately jump into a single player against AI, which can be fun and provide a little practice. Multiplayer has lots of options and works well, as long as you manually invite your friends. The community is small so don’t expect pick up games. With over 100 maps there is a lot to choose from, however most of the maps are user created and without a rating system you are taking a gamble on playability. 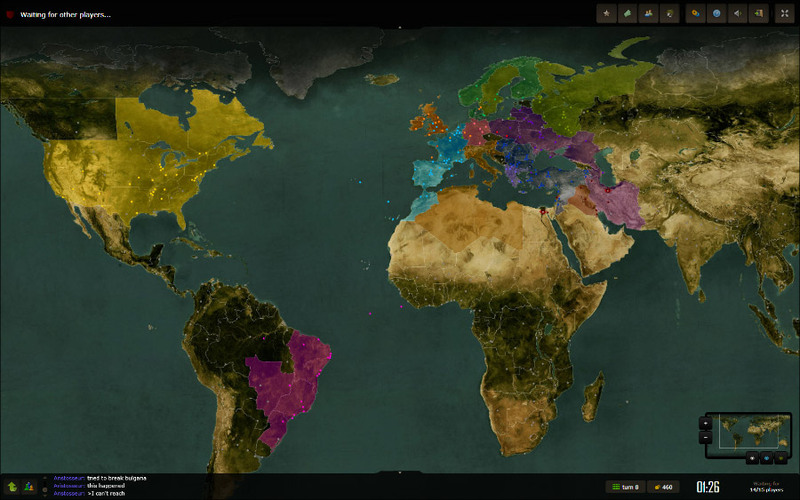 Map aesthetics are sparse and minimal, which may appeal to some people. The site is still in beta, and the developer is active. The up-to-date site design looks fresh and should attract new players. Keeping them involved in the community might be difficult though. D12 was created by another player who left Conquerclub, though it had some potential to start, it has since stagnated. The interface is an updated version of ConquerClub’s, which is a good thing, but in general not enough was changed to make it innovative. Still using drop down boxes. The rest of the site is clearly laid out. The community lies in the forums which are more active than their numbers suggest. Still there is only a handful of open games at a time due to low number of users. 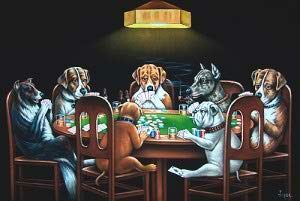 There are some interesting play features like Capitals and Kings but other than that there is not much to bring to the table. There is only three maps though they are of decent quality. There doesn’t seem to be much of a desire to create more maps either. The developer used to be active but has since handed the site over to new management who appear to be just as absent. Don’t hold your breath for updates.